Icebreakers are activities to help start a conversation between group members. 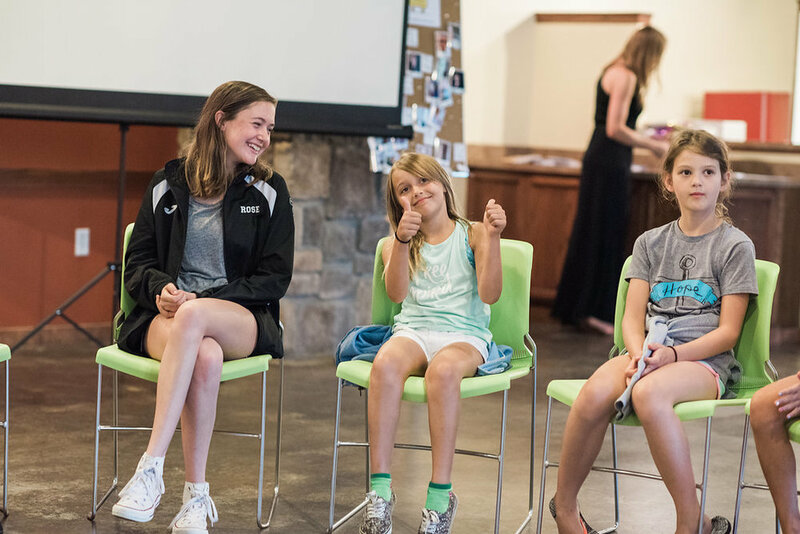 They are a great way to engage the girls in your Girls With Ideas group to help them to get to know each other better and have a shared experience. Before we get into some of our favorites, here are a few tips we have to make sure your icebreakers are a good experience for everyone involved. Make sure that YOU are excited about the icebreaker! The girls will reflect your attitude so make sure that you present it with enthusiasm and positivity. Always set a timer for how much time you would like the activity to take. Announce what time you are setting the timer to the group so everyone knows that when the timer goes off it is time to wrap up. Gage your audience. Select an icebreaker that you think will match the group's mood and tone for that time. Never make anyone participate. Let the girls know that if they cannot think of anything to add they can say "I need an idea" and the group can suggest and idea. You should also allow the girls to say "pass" if they don't feel comfortable sharing and challenge them to think of something so you can come back to them later to share. Have the girls stand in a circle. Ask one girl to make up a dance move then the group will do that move together. Then the next girl will make up her own dance move. The group will then do the two dance moves together making a chain. Go around the circle until everyone has contributed a move to your dance. Say what? You can also have the girls make up a sound or say their name with the gesture which everyone has to repeat. This is a great way to remember names if this is the first time your group is meeting. Have a group that loves to dance? Have the girls make an action for every syllable in their name for a more intricate dance. Not a group of dancers? Have each girls break into partners and make up actions for a secret handshake. Each pair contributes an action so the whole group has a super cool secret handshake. The object of this icebreaker is to create a web with a spool of string or yarn. Have one girl start by holding the yarn or string and say something about herself. Stating one of her favorite things is a great way to start. If that fact applies to another person, she will say "Me too!" The first girl will pass the string to that girl. If more than one girl says "Me too!" the string is passed in the order it is said. Then the person now holding the string will state a fact about herself and continue the process until their is a web of connections. Play until everyone is connected to the group. No string, no worries! Have the girls sit in a circle or group and stand up or pump their fist when they say "Me too!" then go next. Ask for a volunteer to sit in a special chair or spot in the room. Set a timer for 1 or 2 minutes. During that time the group can ask any rapid questions to the girl to learn more about her. She can say 'pass' if she doesn't want to answer a question that is posed. Examples: favorite food, favorite color, etc. We find that girls love learning more about their facilitator so you can start by putting yourself in the hot seat. You can start each group by having one girl go into the hot seat. Give each girl a piece of paper or a notecard. Ask her to write three statements about herself. One of the statements should be false, the other two should be true. Let the girls know that the goal is to fool people about which one is the lie. Allow about three minutes to have the girls write the statements. Each girl can then read her statements and the group has to guess which one is false. This is a great activity to do during a snack or meal to generate conversation. Have the girls sit in a circle. Give each girl a few pieces of papers and ask her to write a category of favorite on each piece of paper. Fold up the papers and put them in a mug or bowl. Each girl will select a paper, read it, and every girl in the group will then share her favorite for the category! A great thing to keep and do during transition times. Get an inflatable beach ball. 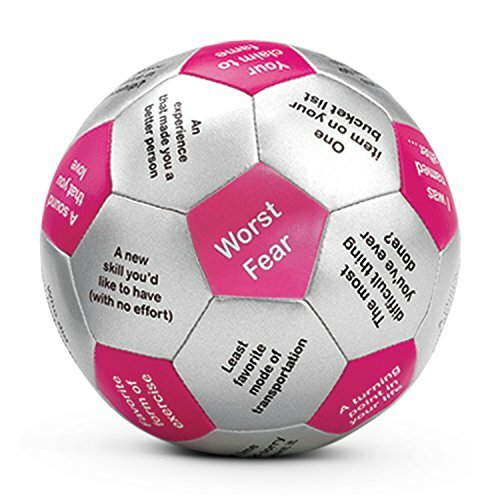 Use a permanent marker to write random questions all over the ball. Have the girls lightly throw the beach ball to each other. When they catch the ball, they will answer the question that is closest to their right thumb. After answering the question they will pass it to a new girl. Not sure what questions to write, or short on time? Pick up this Icebreaker ball from Amazon for around $25.00! Gather the girls in the circle and tell them that they are all aliens from another planet. Ask them to think of a sound and motion that might be used as a greeting from their planet (something that could replace waving and saying 'hi'). Go around the circle and ask each girl to share her greeting and have the class respond by repeating the greeting. This is an awesome silly activity to get the girls laughing. Ask each girl to write a question on an index card. Then the girls should partner up and ask their questions to each other. After they answer the question the girls will trade cards with each other. Then they will find a new partner to ask the question on the card they have to. They will then exchange cards, find a new partner, and continue that process. This is a great icebreaker for a large group at a conference or camp! Give each girl a piece of paper and ask her to make a paper airplane. One the paper airline she should write two questions to ask someone else. At the same time, ask the girls to fly their paper airplanes around the room. They will then go to pick up someone else's and throw that one. Continue to throw the planes around for one minute. Then every girl should pick up a plane and answer the questions on it to the group. Need help remembering how to fold a paper airplane? Check out the video below! If making planes is too complicated, have the girls crumple the paper into a ball and throw the ball! Have each girl select a piece of colored piece of candy from a bowl (Lifesavers, M&Ms, or Starbursts work best). Develop a few questions that correspond to each color of candy and post those questions after the candy has been selected. Then go around and ask each girl to answer the corresponding question to the group!